current 20:29, 8 March 2015 320 × 256 (3 KB) WikiSysop (Talk | contribs) A text file being edited in ''Inter-Word'' (Computer Concepts, 1986), showing a typical <code>MODE 0</code> display. 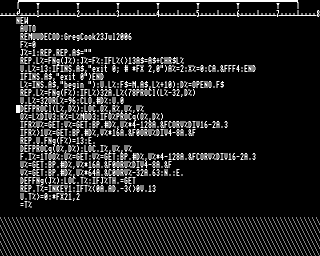 20:27, 8 March 2015 320 × 256 (3 KB) WikiSysop (Talk | contribs) Detail of a text file being edited in ''Inter-Word'' (Computer Concepts, 1986), showing a typical <code>MODE 0</code> display. This page was last modified on 8 March 2015, at 20:29.